Walking into the restaurant, it gives a very cheery, vibrant vibe. This glass encased restaurant with its simple decoration gives the place a modern feel. 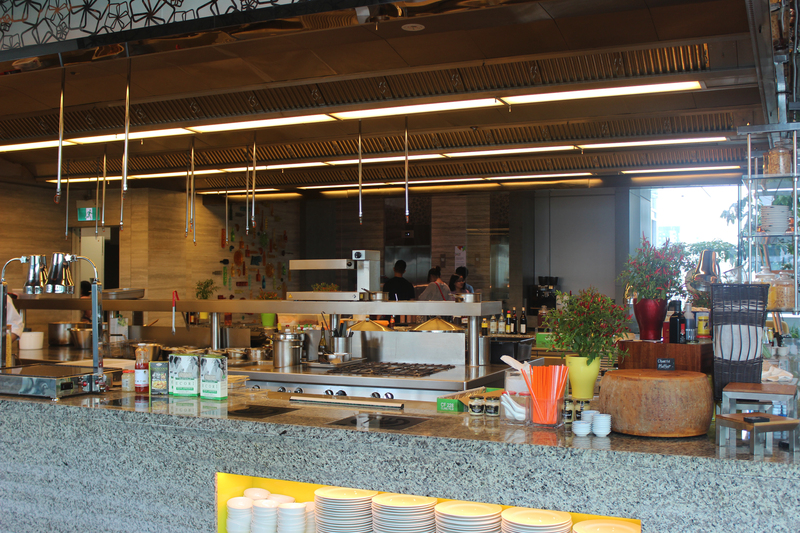 Apart from the dining area, this restaurant features an open kitchen. 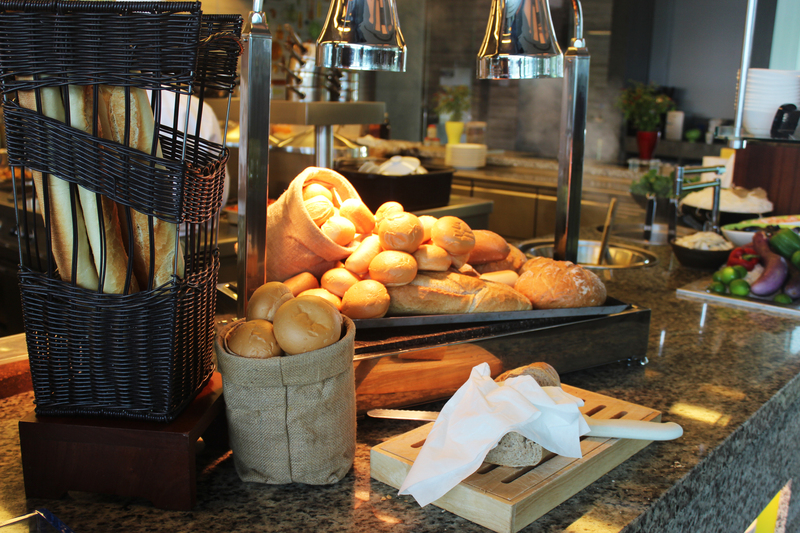 For lunch, they offer a semi-buffet, where you select from a list of main courses and if you choose, you can add on the salad buffet, dessert buffet, or both. It comes with a selection of various drinks, coffee, iced and hot teas. 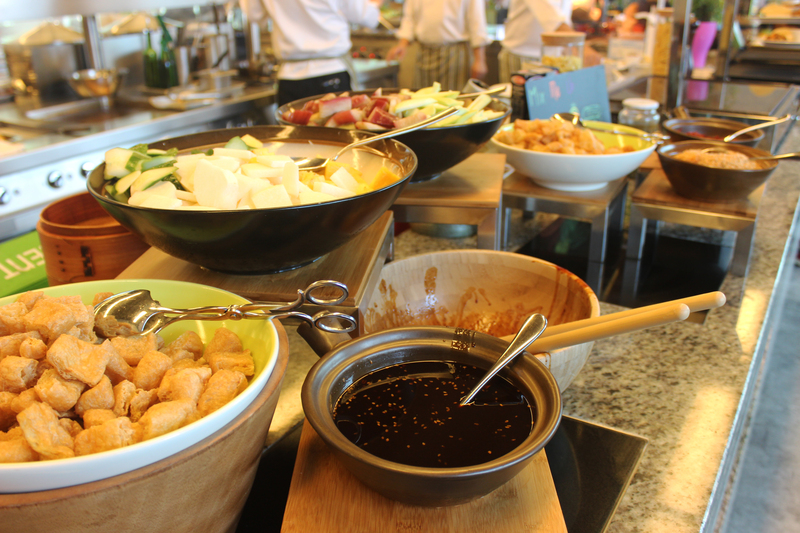 The salad buffet consists of a variety of salads, a Rojak counter, a variety of breads and cheese. 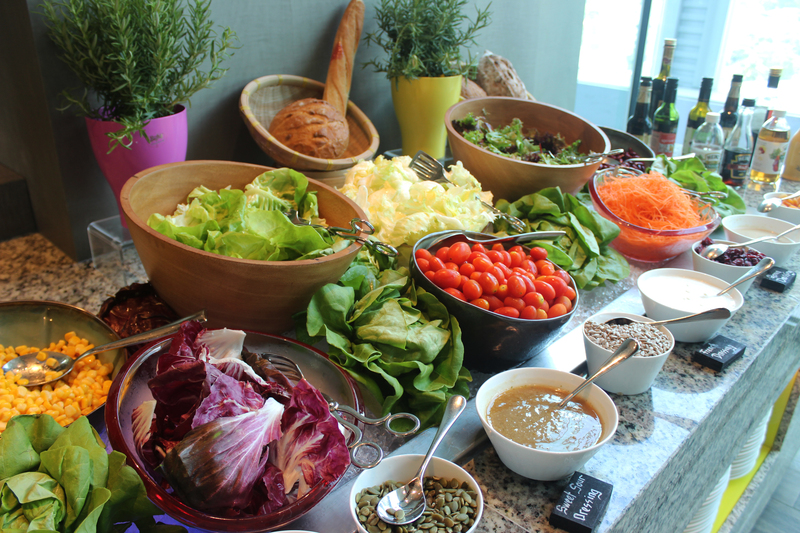 The salads that they serve is usually decent; however it is good to take a look at the buffet to see if it is of your liking before you opt for the salad buffet. 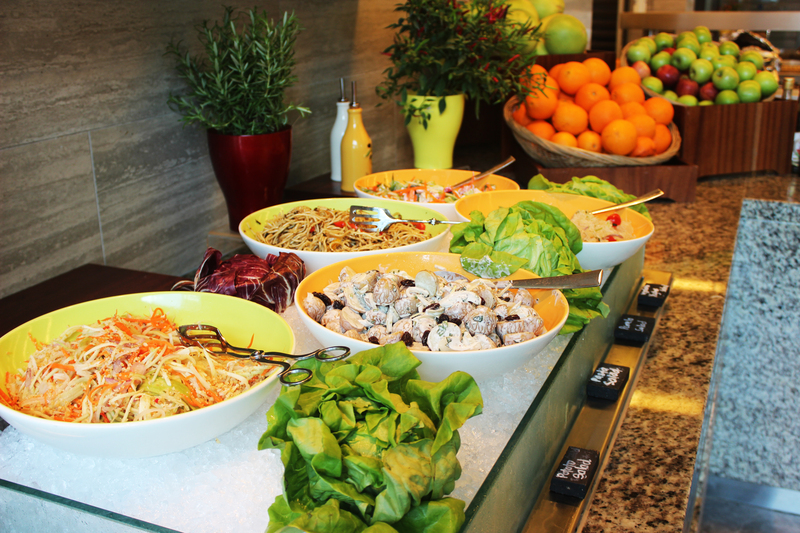 Every day, the main course changes and have a selection of 4 different types of main course. So far I have tried the Indian and the Western food. Their chicken biryani is really good. 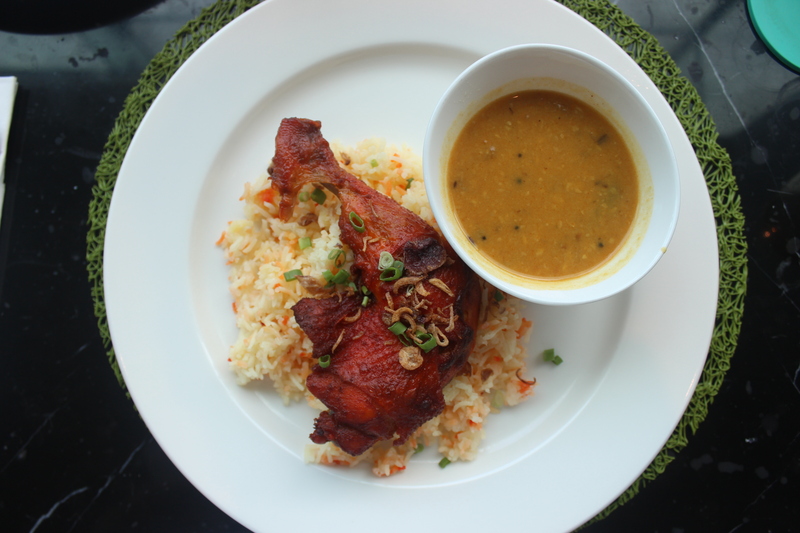 The chicken is full of flavour; the skin is very crispy whilst it remains moist inside. Their biryani rice is really flavourful. For the pasta it is really the sauce that makes the impact. Its creamy, buttery and rich but it is not too over the top. 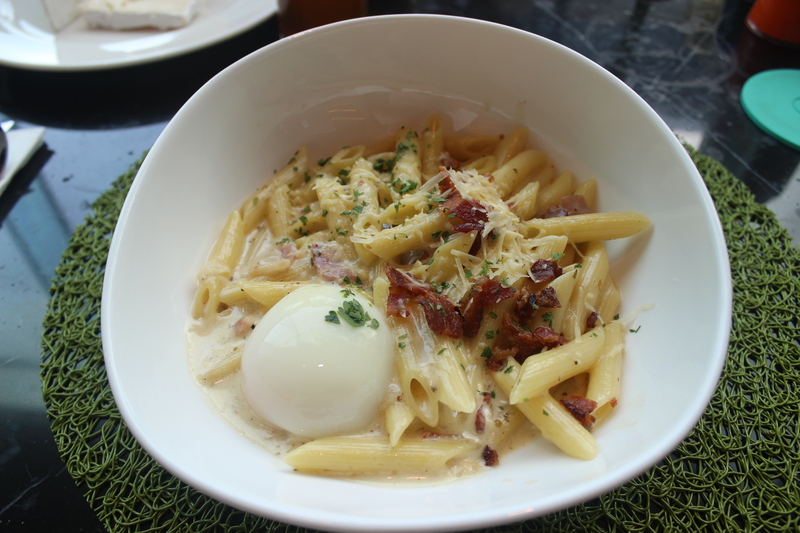 The bacon and the egg gives the pasta more texture. 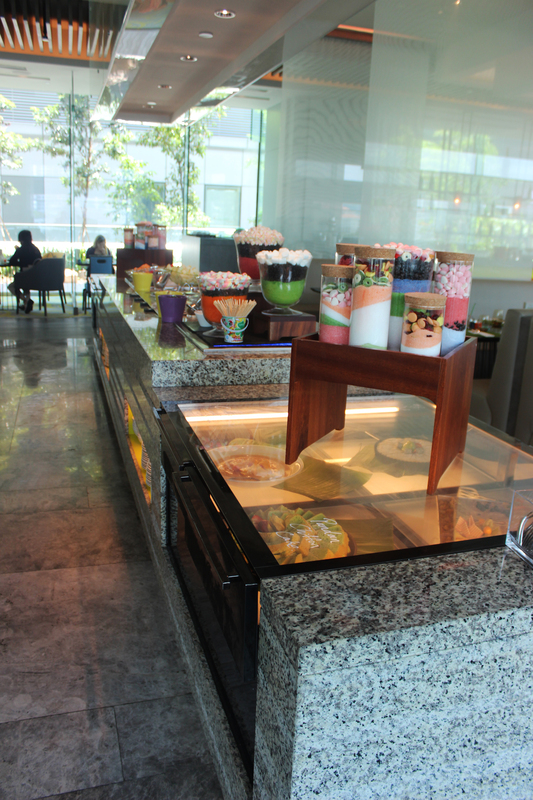 On the dessert table, they serve a variety of cakes and ice creams. The cakes are aesthetically nice but they don’t taste that great. From the dessert table, the ice cream is the thing you’d want to go for as it is of pretty good quality. Really awesome service. They have very friendly and cheery staff which is major plus. It just lightens up the atmosphere. I was with 2 friends having “High Tea” session at Makan@Jen on 1 Jan 2017. It was a total disappointment experience. The high tea supposed to start at 3pm but the setting up was not ready even at 3:30pm. The food was cold and seems like all left over from the buffet lunch hour. would not recommend to any friend to come by for the high tea with such a price.